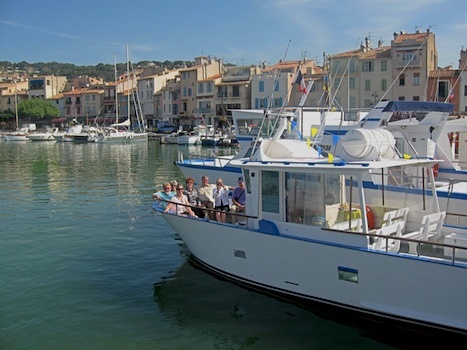 Located in the département of the Var, the seaside gem of Cassis (not to be confused with crème de cassis, a specialty of Burgundy which takes its name from the French word for black currants) sits on the Mediterranean coast about 12 miles east of Marseille. 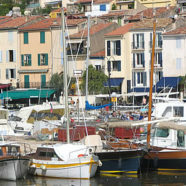 The village encompasses rolling hills of picturesque vineyards which descend into a scenic port. 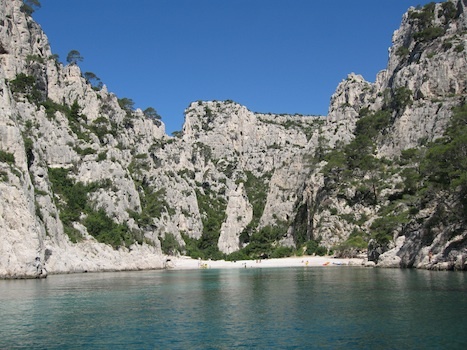 Cassis produces its own wines, white and rosé, from the surrounding vineyards, but is perhaps most famous for the spectacular Calanques, the sinous series of wild fjords and rocky limestone cliffs following the coastline from Marseille. 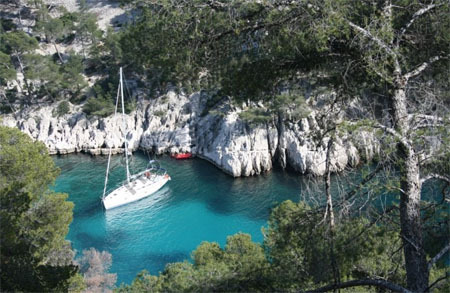 We will visit the most beautiful Calanques by boat: Port-Miou , Port-Pin, En-Vau, and l’Oule ~ all but Port Miou are accessible only by boat or on foot. The striking calanque of En Vau, a favorite beach of hikers and day-trippers. 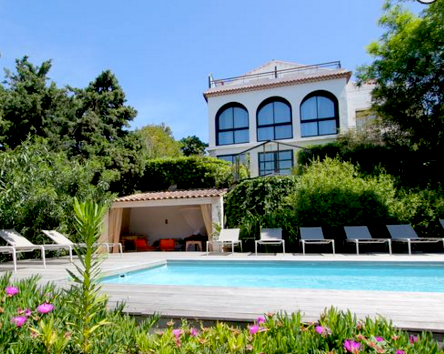 The contemporary villa in Cassis offer luxurious rooms with ensuite bathrooms.